Duo Members save 55% compared to purchasing single tickets. You can sign up for $13/month or $156/year. Just click “Sign Up Now” below. Yes! 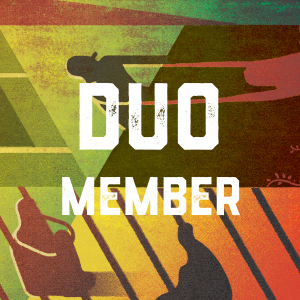 When you sign up as a Duo Member, you get two passes to anything happening at Mixed Blood. If you’d like additional seats, you can do so online for $35 or by calling the box office at 612.338.6131. Yes! If you’d like someone else to use your Membership to attend a performance or show at Mixed Blood, you can do so. Call the box office at 612.338.6131 to update us with your guest’s name. Yes! If you are a Duo Member but have folks you’d like to bring to Mixed Blood, your guests can still attend an event at no-cost via Radical Hospitality or you can guarantee their seats by purchasing additional tickets for $35. No, however, you will receive a confirmation email to confirm that your Duo Membership status is current.